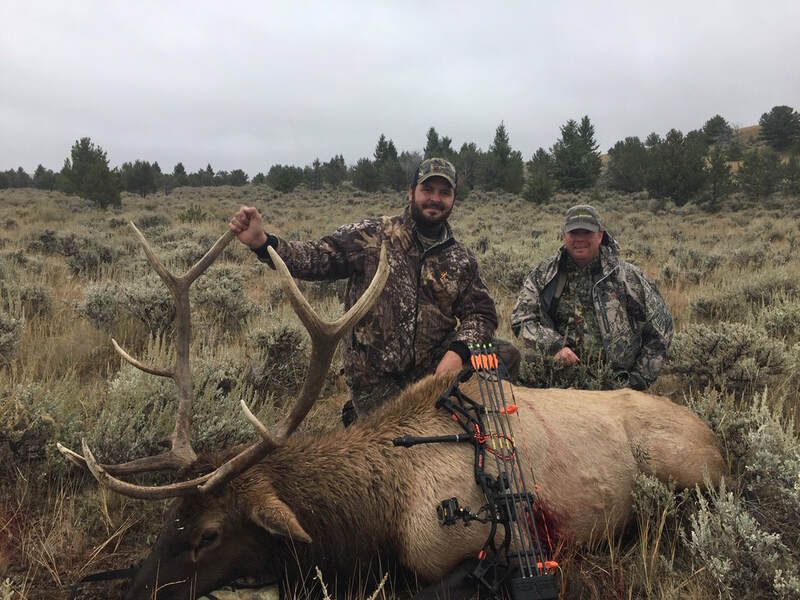 We provide guided fair-chase archery and rifle hunts for elk and deer. We are located just six miles south of White Sulphur Springs, Montana. You will find our family ranch at the base of the beautiful Castle Mountains. We also have property located northeast of town along the North Fork of the Smith River. Between the two ranches there are about 10,000 acres of our ranch to hunt, this doesn't include the other ranches that we currently have leases on. Most of our hunting is done by spot and stalk. We use trucks to go as far as possible, but being in shape and ready to walk is a plus. We are a mile high at the ranch and the top of the mountain is around 7,000 ft. Most of our hunting is done by glassing, spotting, and stalking to within shooting distance. In the evenings we set up where the animals were seen and wait for them to feed to us or we stalk to where they are feeding. The guides who help us are seasoned hunters and realize the importance of a slow, quiet hunt. Although we cannot guarantee everyone will go home with an animal, our goal is for you to see game and have an enjoyable time. All buck deer have to be 4-points on both sides or better to be harvested. All of our hunts are six days of actual hunting with arrival on a Saturday, the hunt begins Sunday morning, and departure on the following Saturday morning. We will provide transportation to and from the Bozeman or Helena airport. If you have an early flight departure you need to plan on a hotel room for the night before out of your departure city. We will provide transportation from the ranch to our hunting area, but if you are staying in town you will need to drive out to the ranch, about 6 miles one way. You will be responsible for license fees, taxidermy fees and arrangements, meat processing and shipping. We will take care of the animal in the field and help skin or cap if necessary, but we DO NOT cut meat.